Halve avocados, remove pits. Place on a baking sheet lined with parchment paper (or Silpat or equivalent, mat). Crack one egg into a mug, make sure there’s no shell in it then pour egg into one half of an avocado (you might have to scoop out some of the avocado to make enough room for the egg. It may spill over the avocado. This is okay! Just be prepared with some parchment paper on your baking sheet). 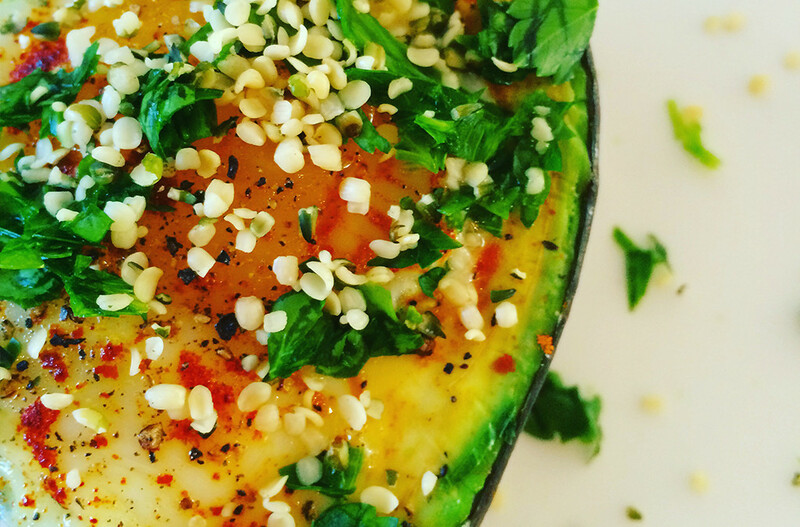 Repeat until the avocados are all filled with an egg. Sprinkle each with turmeric, salt, pepper and spring onions or chives. Bake for roughly 15 minutes until the whites are just set and the yolks are still a tad runny. Try to buy organic ingredients whenever possible. Always use pasture-raised free-range eggs.